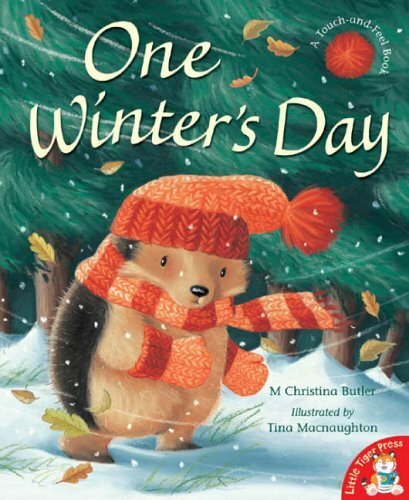 One Winter’s Day is the story of kind Little Hedgehog who helps his friends during a storm. It is the perfect book to curl up with while the wind is howling outside. The Story: Little Hedgehog is trying to make his nest for the winter. The wind is very strong and the nest keeps blowing away so he decides to go and stay with Badger until the storm is over. On the way he gives various animals his hat, scarf and mittens and arrives at Badger’s house covered in snow. When the storm is over Badger takes Little Hedgehog home and he finds that his friends have built a special house for him. 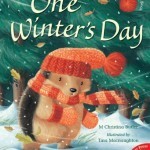 One Winter’s Day is a beautifully illustrated touch-and-feel book. Little Hedgehog’s scarf, hat and gloves are brightly coloured and so soft to touch that you can’t help stroking them. Tina McNaughton’s illustrations give lots of scope for talking about weather and her animals are adorable. We love the little mice, especially when they are snuggled up in Little Hedgehog’s hat. The leaves swirling around in the wind give way to snowflakes as the weather worsens and Badger’s warm, welcoming fire has a soporific effect on Little Hedgehog. The longer text in One Winter’s Day makes it ideal to read to older children but it is also simple enough for beginner readers to read. This would be a great story to include in a classroom theme about seasons. It could also be used to stimulate discussions on kindness and giving as Little Hedgehog’s friends repay his kindness by building him a new nest. This sounds lovely! There are not enough books with hedgehogs in them, in my opinion! It is a lovely book. 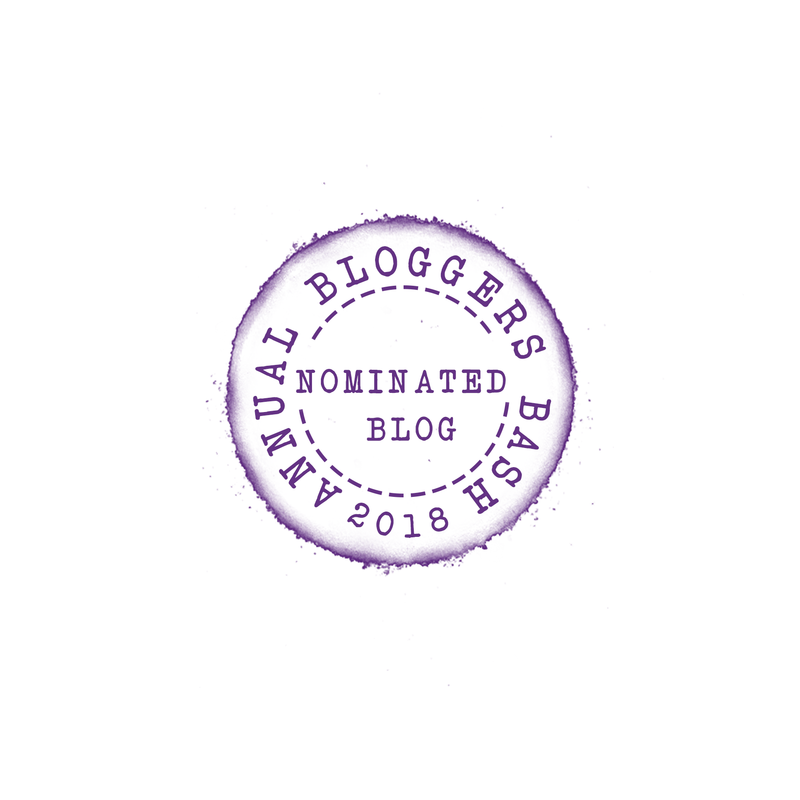 I’m now trying to think of other picture books with hedgehogs in, Mrs Tiggywinkle is the only one that comes to mind. I read that the market for hedgehog stories is small. As hedgehogs don’t live in some parts of the world the books can’t be sold there. I agree it would be a great book to read this time of year.. the cover art is so adorable Catherine! Always good to be prepared for the next stage 🙂 Thank you for visiting Story Snug. 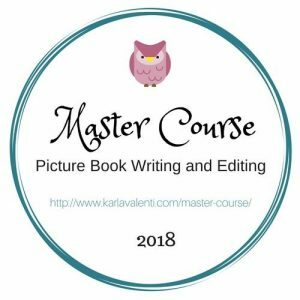 Stopping by from the Kid Lit Blog Hop to say hello. 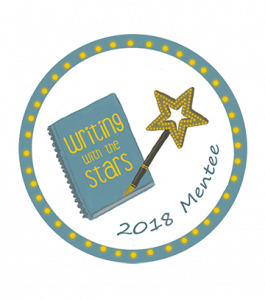 This sounds like an adorable book; thanks for sharing! You’re welcome. Little Hedgehog is adorable and so kind. Our snow is finally melting…although we’re not holding our breath that we won’t get more 😉 It sounds like One Winter’s Day offers an important conversation about caring for others and being a good friend. Thanks for linking into the KLBH! I don’t think we’re going to get any snow here this winter which makes us both relieved and sad! 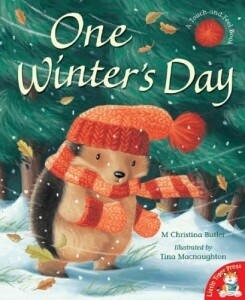 One Winter’s Day is a lovely portrayal of friendship and kindness that even the littlest readers can understand. We’ve had some really nice springlike days here, snow would be a huge shock if we had it now! This sounds lovely. My kids absolutely loved One Rainy Day with Little Hedgehog especially how all the little animals helped each other out. When will the book be translated into Chinese? We have billions of readers in Chinese eager to read interesting children’s books. 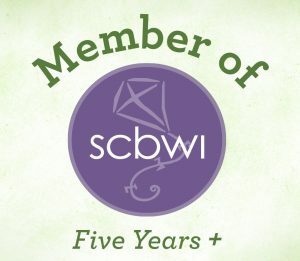 I would love to help! I have no idea, maybe it already is or maybe you could write to the publisher and ask them if you could help?